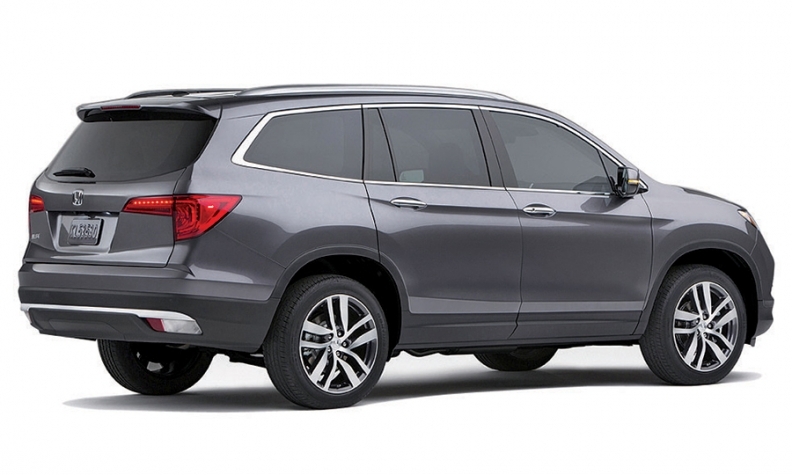 Honda expects new vehicles including the redesigned Pilot to lift profits. TOKYO -- North America is no longer Honda Motor Co.'s go-to cash cow. Honda still sold more vehicles in North America than anywhere else in the just-ended fiscal year. But it was mainland Asia that garnered the biggest profits for the Japanese carmaker. Operating profit in North America tumbled 31 percent to ¥200.3 billion ($1.67 billion) in the fiscal year ended March 31, making it the No. 2 profit center behind Asia. In Asia -- which for Honda includes the key markets of China, India and Thailand but excludes Japan -- operating profit rose 28 percent to $2.32 billion. North American earnings especially tanked in the January-March quarter, when operating income there plunged 72 percent from a year earlier to $97.7 million. The slump came on tepid sales, spiraling costs for Honda's massive airbag recall and a sluggish ramp-up of HR-V crossover production at its new factory in Mexico. Honda's North American sales increased 2.8 percent to 397,000 vehicles in the fiscal fourth quarter, but fell 0.6 percent to 1.7 million for the whole fiscal year. Asia, Honda's second-biggest market by unit sales, booked a 15 percent increase to 464,000 in the latest quarter and an 11 percent increase to 1.4 million for the year. North America's slumping results contributed to overall declines in the company's global operating profit and net income for the fiscal fourth quarter and year. Honda missed its own full-year targets for revenue, operating profit, net income and vehicle sales. Honda's full-year operating profit slid 13 percent to $5.45 billion. Net income fell 8.9 percent to $4.37 billion. Revenue rose 6.8 percent to $105.74 billion, while unit sales edged up 0.9 percent to 4.4 million. In North America, the slower-than-expected startup of HR-V production drove manufacturing costs higher. But the biggest hit came from the mounting costs of Honda's global airbag recall. More than half of the affected vehicles are in North America. The potentially explosive airbags have been linked to five deaths in the U.S. and one in Malaysia. Worldwide, Honda has recalled some 14.4 million vehicles equipped with suspect airbag inflators made by Japanese supplier Takata Corp., more than any other automaker. About 9.9 million of those recalls came in the U.S. Honda did not break out the recall's global costs. Executive Vice President Tetsuo Iwamura said North American profitability should rebound with the introduction of new vehicles, including: a refreshed Acura ILX that debuted in February; a revamped RDX crossover arriving this spring; the HR-V, which hits showrooms in May; and the redesigned Pilot SUV and Civic small car arriving after that.